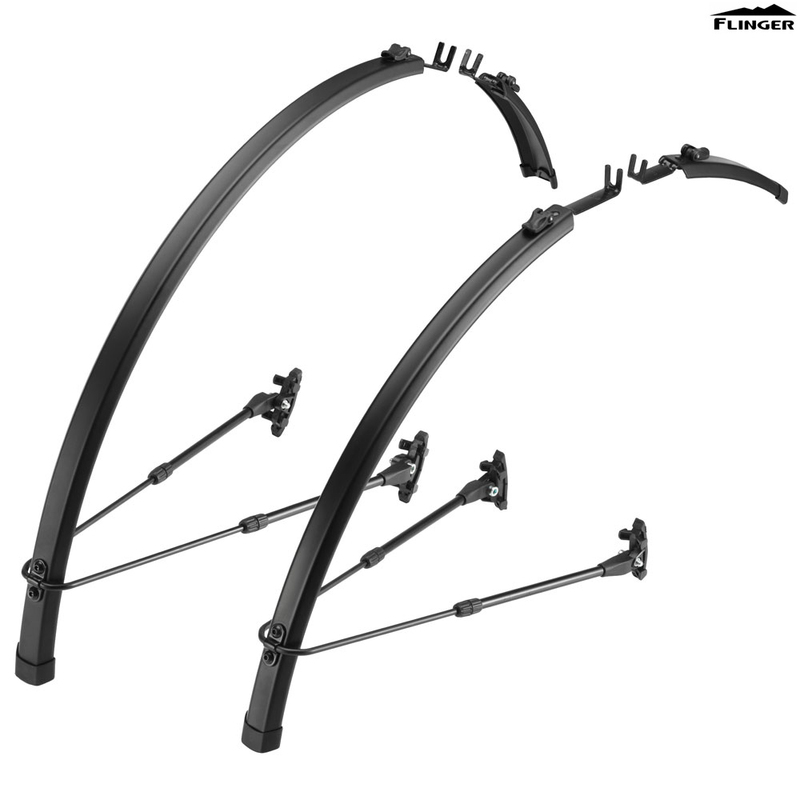 Flinger Race Pro are quick-fit, quick release performance mudguards for all season use. Fitted or removed in only a few minutes, no mudguard eyelets are required to fit these guards. Alloy hardware and polycarbonate blades for all year protection. Easy to adjust and fit to your bike with twist lock stay adjusters and rubber straps. Mudguards can be perfectly adapted to the radius of the wheel by adjusting the thumb-lock stays.